Welcome to Qismat Yinus' Blog: #In Case You Never Know!!! #In Case You Never Know!!! 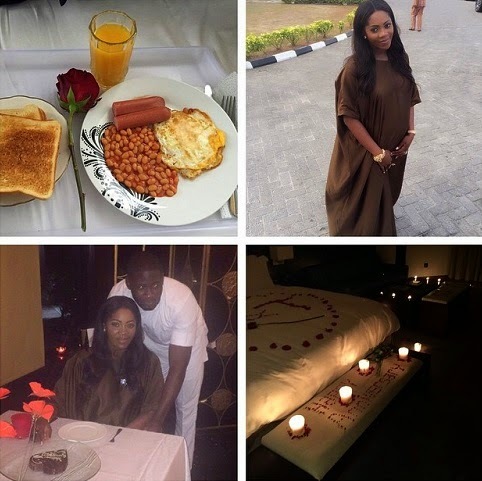 Tiwa Savage and husband, TeeBillz celebrated their first year together as man and wife on Sunday,April 26 2015. According to Tiwa, she had the best day of her life, as she had breakfast in bed, went to church with hubby, had a romantic dinner,with candles and rose petals all over their room just for the night. Popular TV/Radio personality, Naana De Souza has died. She died at the Korle Bu Teaching Hospital in Accra, Ghana on April 20th after a 6 year battle with cancer. 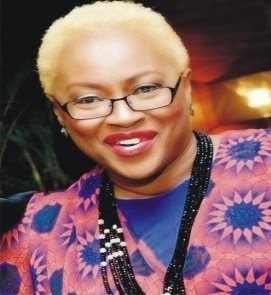 Naana worked as a colunmist for Punch, City People and several other newspapers and magazines. She also worked with Silverbird where she helped organize many MBGN pageants. She will be buried on June 5th in Accra. 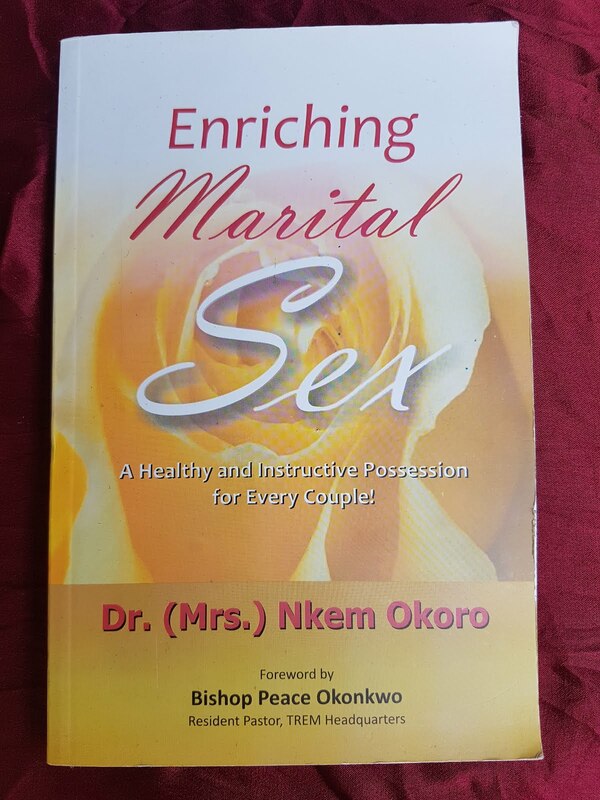 A service of songs will be organized for her in Lagos on June 10th. She is survived by her husband Magnus De Souza and four children. 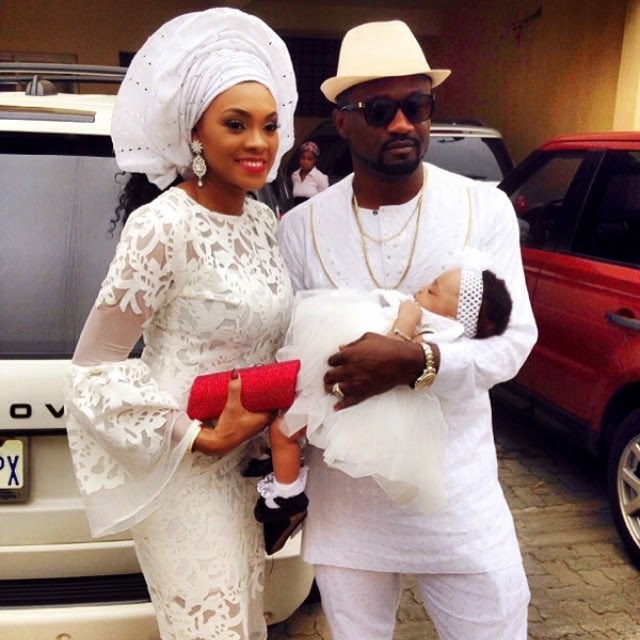 Jude Okoye and his wife Ifeoma on Sunday, 26th of April dedicated their baby, Emma Okoye who was welcomed to the world last year November. 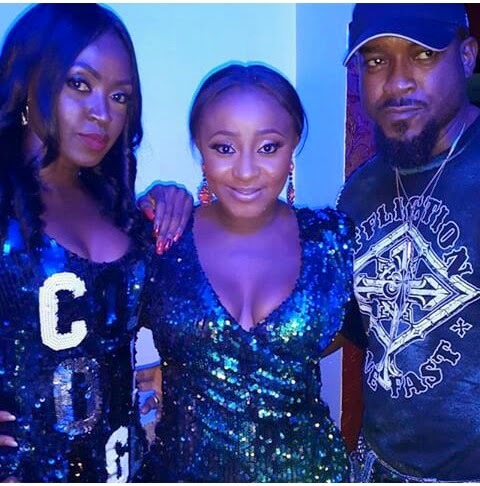 Ifeoma looked lovely as she rocked a dress made by celebrity stylist and designer Abyke Domina. 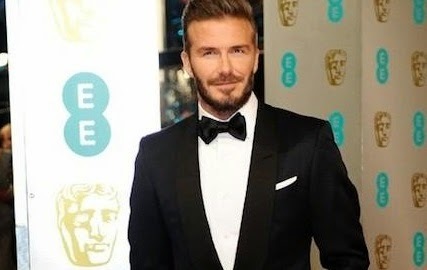 David Beckham is planning a star-studded birthday party to celebrate his 40th birthday. He will be flying his family and close pals, including Gordan Ramsay and Tom Cruise to Morocco to celebrate the special day. The Manchester United legend hits the big 40 on May 2 and he has told his close pals and loved ones to keep the weekend free. A source told The Sun newspaper: "He'll only turn 40 once so he wants to do it in style. Morocco is a place close to his heart." David is expected to hold his bash at the Amanjena resort in the North African country's city Marrakech, where he and wife Victoria Beckham renewed their wedding vows in 2008. On April 24 friends of Nollywood actress,Uche Jombo organized an elegant baby shower for her and and her husband Kenny Rodriguez in Houston, Texas. Uche showed off her baby bump in a strapless blue dress, while wearing her braids in an updo. She looked really cute. 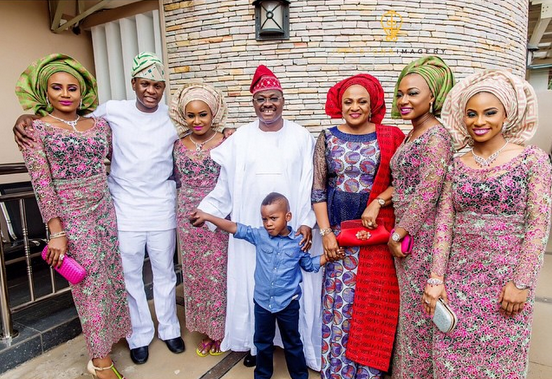 Oyo state governor, Abiola Ajimobi pictured with his wife Florence, their daughters, son-in law and grandson at Mrs Ajimobi's birthday thanksgiving recently. They looked really lovely. 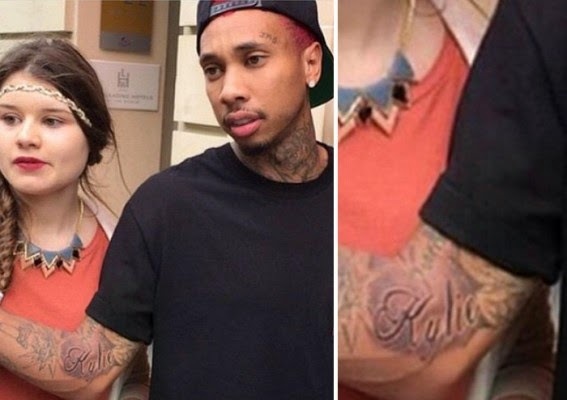 A photo surfaced last Saturday of Tyga flaunting fresh ink of his 17 year old girlfriend's name now on his inner right elbow. According TMZ, sources close to the rapper told them that Tyga got the tattoo done two days ago to prove to Kylie he is fully committed to her and no one else. Looks like he got the tattoo just a day after his ex, Blac Chyna put him on blast by posting text messages where he was begging for another chance.